Home > Finance Issues > Questionnaire: Do You Need an HMO Licence? When living in shared accommodation it is important to be aware of the legal guidelines surrounding the property you live in. Although it is the responsibility of your landlord to make sure he follows all of the right protocol you as a tenant should also be aware of your landlord’s responsibilities. 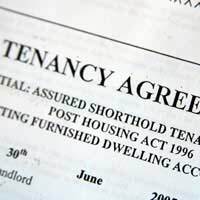 Many landlords will be required to hold a House in Multiple Occupation licence, if they do not they could be breaking the law which means your tenancy agreement could be invalid and you could be forced to leave the property. To obtain a HMO licence a landlord must show that they are keeping the property properly maintained.These few questions should help you assess whether you live in a HMO property and whether your landlord needs a licence. If you answered mostly A it sounds like your landlord needs a HMO licence and you should check with your landlord that they have one. When applying for a HMO licence your landlord will need to show that the property is off a certain standard, so it ultimately benefits you. As a general rule, properties that consist of five or more unrelated people who all have their own tenancy agreements are classed as HMOs, as long as they are over three storeys high. If you answered mostly B there could be some confusion over whether your landlord actually needs a HMO licence. It could be that you have a basement or a loft but do not use this for a tenant. It could mean you are classed as having three storeys or more and you would have to get the council to carry out an assessment of your property. There are also some loopholes if some of the tenants are related or in a relationship, because they might be classed as one couple and not two individuals. If not all of you see the property as your main residence this also leaves question marks over whether you need a licence. If you are students or working from abroad the property will be classed as your main residence but if you have two homes then your landlord will have to get your situation assessed. It sounds like you do not need a HMO licence, as there are not more than five people living in the property. Also if the property is not higher than three storeys and you do not all share facilities you will not need a licence. In this scenario your landlord will not need a licence unless your situation changes. Working out whether your landlord needs a HMO licence can be a tricky business, you may think it doesn’t matter and it doesn’t affect you, but having a licence in place will give you more protection as a tenant and shows your landlord is doing everything by the book. If you have any doubt as to whether your landlord has or needs a licence you should ask them just to be safe.